As Adventure Women, we all like to venture out and explore. Learn new things. Test our limits. Challenge our comfort zones. We like to "live live boldly". This month we celebrate this common theme as we announce that our 2019 adventure previews are live on our website. Check them out and remember, if you book your 2019 trip by April 30th, 2018, you'll receive an additional 5% off! Maybe you'd like to live a little more boldly in 2018 or 2019? We've dreamed up some great opportunities for those of you seeking more active, outdoor challenges and it's as easy making a commitment, training and then, well just going and doing it! Imagine that sense of accomplishment you'll feel on the plane ride home. YES! "Living life boldly" means different things for each of us. This month we hear from new Advisory Board member, Leigh Z., about her own personal story of triumph you won't want to miss. We are so grateful to her and so many other Adventure Women who have shared their own journeys with us over the years. PLEASE NOTE: We're closing the door in early March on our Mongolia, Switzerland, Indonesia, Iceland or Pacific North West trips for 2018. If you think you might want to go on any of these, do call us immediately! 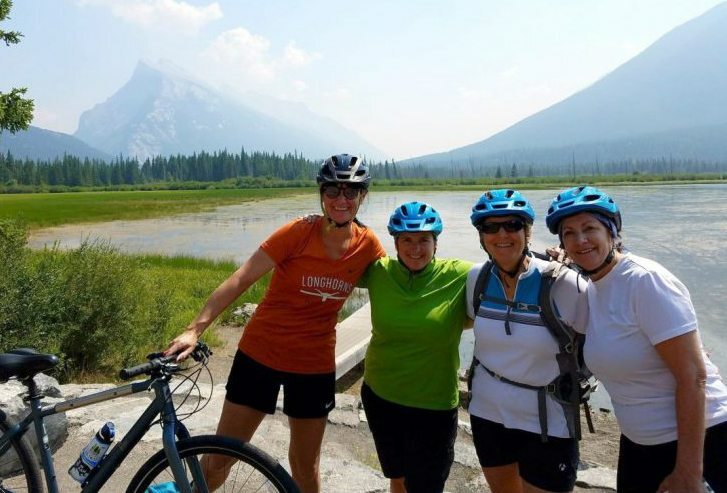 Finally, check out our latest guest reviews from our 2017 Adventure Women travelers! Welcoming A Challenging Adventure: What Will You Choose in 2018-2019?